The U.S. Civics Training Initiative’s purpose is to meet this shortcoming straight on. Our unique approach is to take some of the foundational principles and documents of our free republic and present them in a concise and systematic way in a web video format that can be viewed by individuals, families, and groups anytime and anywhere. Our approach is to focus on key civic principles that are no longer taught. We have streamed over 450,000 video trainings to individuals from across the world. Families, civic groups, church groups, and businesses have used them to train small and large audiences. The sad truth is that back during the founding period 90% of Americans knew the content presented in these web seminars. Today over 95% of Americans have never heard them presented. In the last 100 years, we have deviated from these truths tremendously. 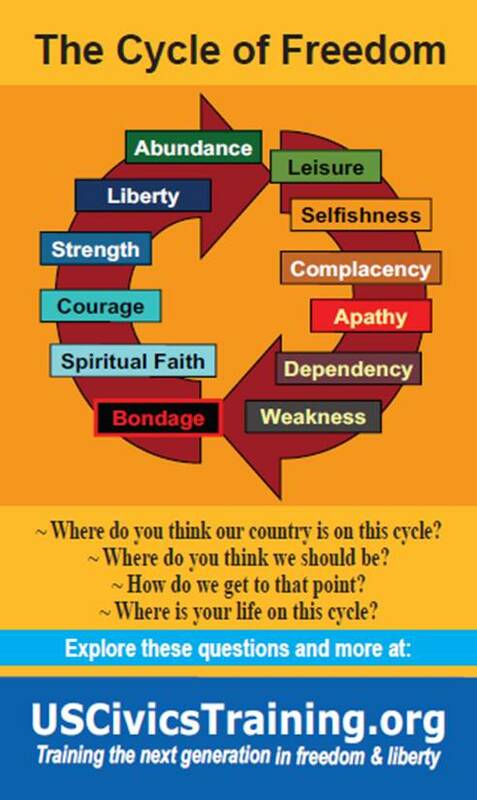 Today when Americans hear these truths again, they are motivated to help keep America “the land of the free and the home of the brave” and they yearn to share these concepts with others. So, we are glad you are here. You can see comments of others below. 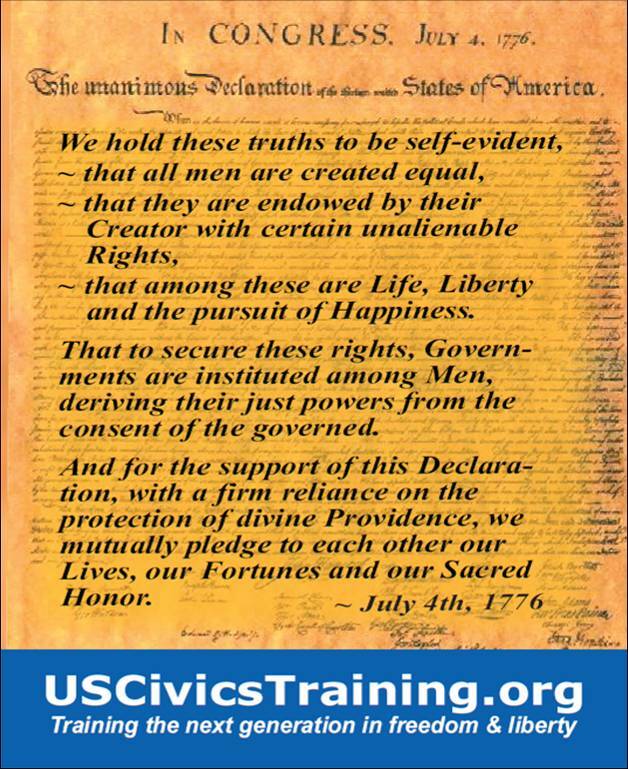 You can get started in your own Civics Education right away by simply going to the Training Center tab at the top of the page and begin to sample some of the web seminars there. Thanks for your interest. We hope you enjoy our current free offerings and sign up to be a member so that together we can work toward a national revival of the first principles of freedom and liberty. “We declare these truths to be self evident! 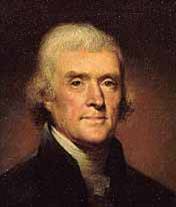 That all men are created equal and endowed by their creator with certain unalienable rights! Order these cards right now at our on-line store !! GET THEM IN TIME FOR JULY 4TH CELEBRATIONS !!! Order bundles of cards NOW! at on-line store !!! Cherish these liberties. You will never know how much they cost us. Wow!- good content – it’s like “The U.S. Constitution for Dummies.” I like the visuals on the Constitution itself – good job! This should be mandatory in all schools around the nation. I am definitely going to use this in my classroom. Thanks. I’m so happy you did this video, thank you! Everyone that sees this should pass it on! Thank you for doing this. This will help lots of people that need to know our Constitution and why this country is so great. Excellent job! Jefferson would be proud! Thank you! I truly think this is the most unbiased civics/political video I have ever watched. And I think your idea of the concepts of the Declaration are truly great. This was very helpful to me. Thanks ! This is an excellent video! I just sent this to my nieces and told them to show their teachers to find out if it compares to what/how the Declaration of Independence is currently being taught in schools. Thanks! Thank you so much for these seminars. They are helping me tremendously in my AP History and Civics classes. I have just listened to all of your seminars. I must confess, you have taught me to think about the Declaration of Independence and the Constitution in an entirely new way. Although, I attended a nationally known Law School for three years and have been practicing law for over 40 years, I have never had the fundamental relationship between the Constitution and the Declaration of Independence taught to me in such lucid terms. 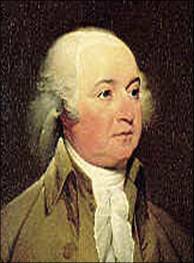 We finished our study of the US founding documents using your web seminars. Everyone was impressed and enlightened by your presentations. All in all, it has been my most enjoyable series in the 15 years I have been leading this class, I think as a practical matter it probably did more good than anything else we have done in the last 15 years as well and we have done some pretty good stuff. “Give me Liberty, or Give Me Death!